Disclosure: I received products for free in exchange for this post. The opinions in my review are honest and my own. Do you have a child that just recently started school? For many children, nothing is more fun than having their own unique school supplies. The problem, however, is making sure that not only does your child not lose their supplies, but that they also aren’t stolen by other children. To make sure this doesn’t happens, it’s great to have fun, unique labels with your child’s name. One of the best places to find cool school supplies that kids of all ages will love is Kidecals! Never heard of Kidecals? They make some of the cutest, most unique labels that you can find online! Best of all, they even make custom labels, perfect for children who have their own unique style. They even offer labels that are perfect for older children as well, allowing them to display their jersey number on all of their labels, or mix their own favorite colors with their school supplies. Really, nothing is better for back to school than Kidecals, especially with their amazing prices! Really, you can find something for everyone on their site. I personally use their chalkboard labels on food containers. 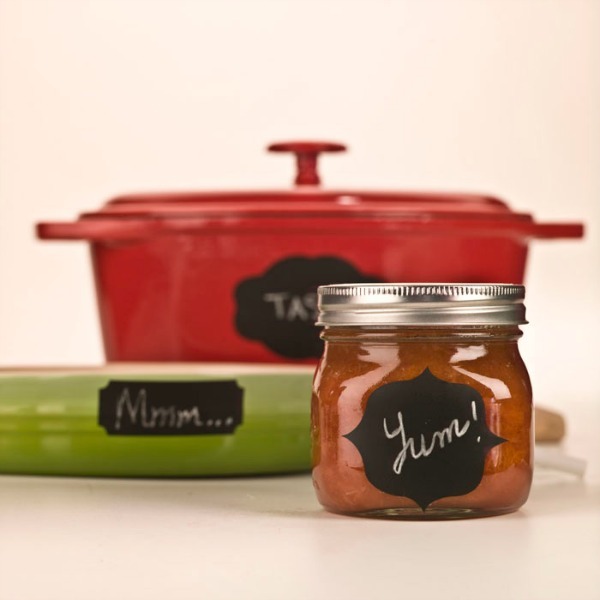 These labels are a great way to label food in the fridge, or make it easier during potlucks for everyone to know what is being served! Since they are dishwasher safe, you can keep reusing them as much as you like, making cooking even more fun! Would you like to try out these awesome labels for yourself? If so, we highly recommend you head over to Kidecals and check out their variety of awesome labels. With a variety of different designers for all genders and stage of life you can truly find something for everyone at Kidecals! Just don’t be surprised if you find yourself with a cart full of cute stickers! We love labels! And we really love labels at great prices!